Made by gamblers for gamblers, Nitrogen Sports knows what’s important. Fast-loading and ultra-secure, the Bitcoin-powered site offers a vast range of sports and betting markets complete with imperative withdrawals. Powered by the future currency and great reputation, it’s your best online betting space for a bitcoin sportsbook in the market. Nitrogen Sports are a Bitcoin-based sportsbook that accepts players from all over the world. Founded in 2012, they have quickly become one of the most trusted Bitcoin sportsbooks online. 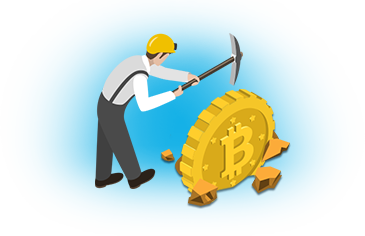 Although they have suffered from DDOS attacks over the past year, the site was only down for a few hours and all bitcoins in players’ accounts remained safe. The company is located in San Juan, Costa Rica and is owned by Ideal Media Incorporated. Nitrogen Sports has a refined design and betting platform along with some unique attributes when compared to other sportsbooks that deal solely in bitcoins. When a player visits the site for the first time, Nitrogen Sports assigns each individual computer (and user) a unique Bitcoin address and uses downloaded cookies to keep them logged into the site. This is all bettors need to transfer their Bitcoins over and begin betting, but Nitrogen offers several other layers of security. This includes a unique NitrogenSports.eu address that will automatically log users in if they are on another device. They can also create a username and password (no email required) to add another level of security. Adding an extra layer is simple via two-factor authentication, which can be done through Google Authenticator and other applications. Bettors can completely “sign out” of Nitrogen Sports, which would delete the cookies the sportsbook uses for identification from their computer. It is vital that customers either save their login link or add a username and password to be able to access their account again. Another neat feature is the lobby chat room on the main page of the sportsbook. Customers can create their own aliases to chat with other bettors about the day’s games and cheer each other on. Nitrogen employees are also regularly active in the chat box in the evenings and are able to answer questions and handle support. The percentage of Bitcoin sportsbooks that offer deposit bonuses is growing, but many still do not offer a free play bonus when players first deposit. Nitrogen Sports is one of these sportsbooks, but their overall odds make up for the drawback. They do, however, offer a monthly parlay promotion where they reward players with the highest parlay payouts with extra cash bonuses on top. It’s an innovative move by the book, and something we have never seen before. Like many Bitcoin sportsbooks we review, the number of betting markets for such a new industry is especially impressive. Nitrogen Sports offers an absolute laundry list of the world’s top leagues for nearly every sport on the planet. All American professional sports leagues are available for betting, along with NCAA football and basketball. The list here is almost limitless. Pretty much every soccer league in the world is offered, including Champions League and international contests. E-sports, a newer market that focuses on video game wagering, is one we have not yet seen on any other Bitcoin sportsbook. Other markets include tennis, hockey, golf, mixed martial arts, Aussie rules, bandy, curling, cycling, handball, rugby and volleyball. One drawback is the number of bet types that each sport has on offer. Future wagers are commonplace for just about every league and competition in the world, but there is a lot left to be desired. Teasers and parlays are the only types of wagers that can be utilised besides straight bets. This is a noted concern of Nitrogen’s management, who are looking to expand bet types soon. Also, live bettors are currently out of luck at Nitrogen. However, like the other betting markets, the team is actively working on a live betting platform that should be available in the coming months. Another factor worth noting is that most sports are auto-graded after completion, but a notable number of markets are not. This means possibly waiting an hour or two after the event concludes for your Bitcoin winnings to be available to wager on another market. Bettors at large fiat sportsbooks will not be used to this, and the Nitrogen team is actively working to improve the situation. Overall, Nitrogen Sports’ odds are quite strong considering the large number of markets. They have stronger underdog lines, but their odds for two- and three-team parlay and teasers are the most impressive. Like many Bitcoin sportsbooks in a still-emerging industry, however, they suffer from some lower maximum bet limits. With a minimum bet of 0.001 bitcoins, even those betting for amusement aren’t left out in the cold. On most major markets, the maximum wager is 1.0BTC, but this gets smaller with lesser-known sports. Overnight lines are usually 0.5BTC. They do note on their site that the maximum wager amount displayed on each bet is also a risk value along with the to-win value. So bettors can wager 1.5BTC to win 1.0BTC. Also, management is flexible with limit increases and may up the ante on a selection if a player submits a ticket through support. No one likes slow-loading sites, and at Nitrogen Sports they know that. So they’ve made sure that the site loads super fast, allowing players to get started with their favourite games in no time. However, the navigation could be slightly clearer. The “Starting Soon” button opens up a mobile-optimised betting interface. This displays teams that are either already playing against each other or are about to start. Bettors can search or simply scroll down to find their favourite league or tournament, and they can then tap the blue button to access the bet slip and place their wager. Yet, it is a little confusing where the bet slip goes once opened. While it’s clearly visible on a desktop, it regrettably gets lost on a mobile screen. The same applies to multi-tabling as it’s not clearly specified how many tables can be played at once. While sportsbetting is available on mobile devices, the gambling app is still absent from major online app stores. Currently, in March 2018, the Nitrogen Sportsbook site can only be accessed via the mobile browser. Provided a successful connection is in place, the screen prompts bettors to log in with their existing credentials or to create an account in just a few steps. The players can then choose to take a tour around the website or navigate straight to the sportsbook. The sign-up process with Nitrogen Sport is safe and easy, if not one of the best systems regarding security. The first thing new players see as they open the home page is the straightforward registration form. It’s a two-stage process of entering the captcha first and then filling out a simple form with a username and a password, with no personal details required. The bot then generates a unique ID and username for each new player. Account settings are easy to change. Players should consider changing their credentials to a strong passphrase for extra security. Entering a valid email address allows the support team to answer any queries. Built-in autosave ensures that all changes are always updated given uninterrupted internet connection. Enabling the two-factor authentication will add another layer of security to bettor’s account. The handy Google Authenticator app, available to download on most Android and iOS devices, gives players the option of using a One Time Password (OTP) to log in each time. Plungers can set up this feature in their account settings with just one easy click. Although the sportsbook operates solely in Bitcoin, withdrawals can differ from one Bitcoin to the next. Once you send bitcoins to your specified address, they should arrive instantly or in a matter of minutes. Withdrawals are usually automatic through Nitrogen Sports’ system. The support staff is perhaps the best out of any Bitcoin sportsbook on the market. They do not offer phone support, but representatives are usually available via the lobby chat. There is also a built-in support ticket system where bettors can usually get a response within a few hours. Nitrogen reps are also active on most of the larger Bitcoin forums online. Nitrogen Sports may not have a deposit bonus or sky-high betting limits, but they have shown longevity in the still-young Bitcoin sports betting market. Their odds and support staff are excellent, and they are regarded among the most trusted sportsbooks in the Bitcoin community. Despite the lack of mobile app availability, free bets and smoother design, Nitrogen Sports still get a vote from us. The ease of opening an account, speedy deposits and nearly instant payouts put Nitrogen Sports ahead of many existing Bitcoin sportsbooks. Anonymity is another major pull-in factor for anyone seeking incognito sports betting sites. We like seeing Nitrogen Sports running a rather informative and regularly updated blog where the brand shares their best practices, industry news, and even tips on placing the very first wager at Nitrogen.